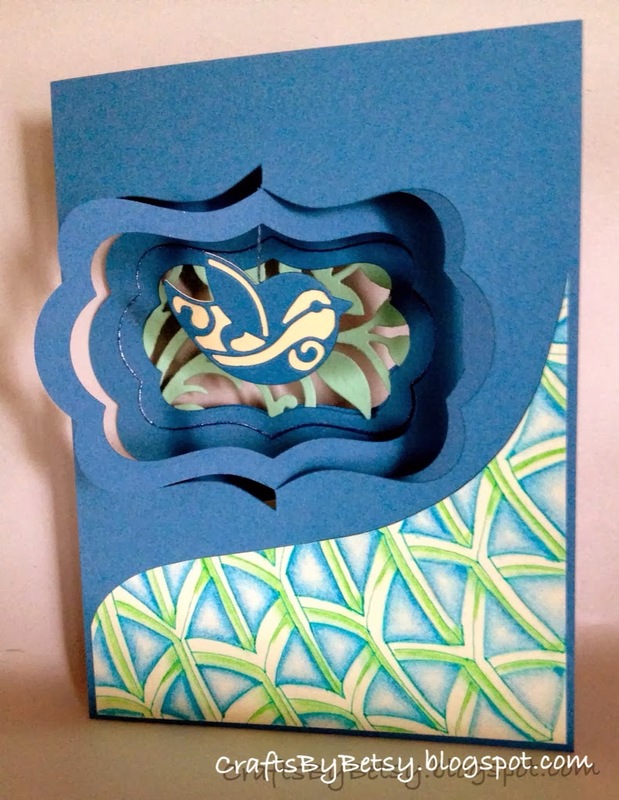 This week's project is an A-2 (4 1/4 x 5 1/2 inch) card using 3 dies. Two from Elizabeth Crafts designs, the Katie Label Pivot Card from the POP IT UPS collection by Karen Burniston, and Birds. The Katie label die includes different sizes of labels so that I could cut a label frame from which to hang this cute little bird. The bird has the same detail front and back when he twirls on the embroidery floss. In the back, I was also able to sandwich another die, from Spellbinders, Botanical Swirls, in between the label layers. On the front I played with a tangeation of Etcher using the Zentangle® approach. 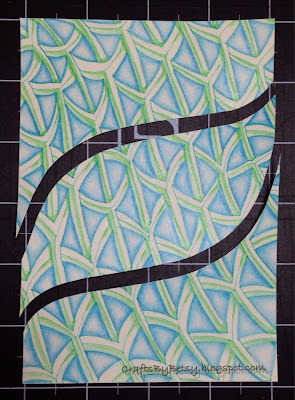 I started with the tangle on 4 1/4 x 5 1/2 inch card then trimmed slightly. I drew a template and cut my drawing into 3 pieces. Perfect for two of this card and a third cool shape for a later project. 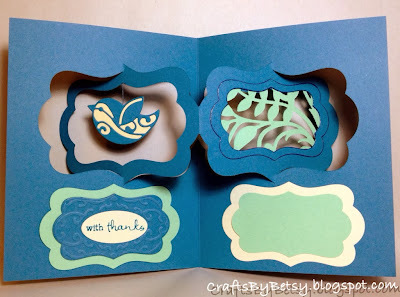 I love that you opened the inside of the Katie Labels for the Bird and Leaves. Great card.